Since 1999 Millenium Products, Inc. has continued to provide powerful solutions and proven results to our growing family of worldwide clients. Customer service and customer satisfaction have been and continue to be the pillars upon which our success is built. We successfully maintain three (3) GSA contracts and three (3) TXMAS contracts. 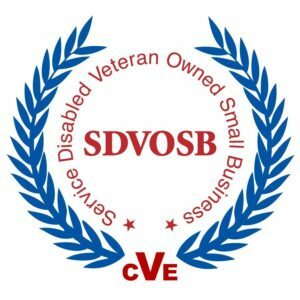 We are a Service Disabled Veteran Owned Small Business which has been verified by the Center for Veteran Enterprises. Our quality product lineup includes Generators of all sizes, Portable Light Towers, Highway and Traffic Safety Equipment including Message Boards, Arrow Boards, Full Matrix Radar Speed Signs & Trailers, Portable Traffic Signals, Fuel Trailers & Containment Tanks, Air Compressors, a complete line of Surveillance Equipment including Remote Monitoring Surveillance Trailers, and Portable Walk-Through Metal Detectors. Many of our products offer solar power or solar power options. Let us be your first call for your emergency power and lighting, traffic control, security and surveillance needs. Our Powerful Solutions and Proven Results will be your first line of defense. Contact us today and see why so many customers choose us time and time again. © 2019 Millenium Products. All Rights Reserved.